Concerned with the consequences of demographic decline and population ageing, especially with respect to economic growth, national defence and pensions and health care for the elderly, a growing number of governments are seeking to raise birth rates. 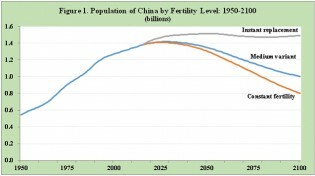 Whereas nearly 40 years ago 13 countries had policies to raise fertility, today the number has increased four-fold to 56, representing more than one-third of the world’s population. Women are having fewer than two children on average in 83 countries, representing nearly half of the world’s population. And in some countries, such as Germany, Italy, Japan, Poland, Singapore, South Korea and Spain, average fertility levels are now closer to one child per woman than the replacement level of about two children (Figure 1). On the eve of World Population Day, the United Nations is fighting a virtually losing battle against growing humanitarian emergencies triggered mostly by military conflicts that are displacing people by the millions – and rendering them either homeless or reducing them to the status of refugees. Humanity’s Future: Below Replacement Fertility? Is below replacement level fertility the future for humanity? The answer to this seemingly simple question regarding human reproduction is not only of considerable demographic concern, but also has enormous social, economic and environmental consequences for the planet.